To match, we present our Holiday Bliss Shake, made with freshly churned Red Peppermint Dave’s Hawaiian Ice Cream, blended with Oreo cookie pieces for unbeatable texture and taste. What could beat this holiday combo? 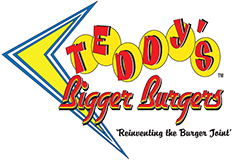 As a brief recap of the developments that evolved over the past few months, Teddy’s is honored to announce the international expansion of our humble burger eatery to the following confirmed locations: Bangkok, Thailand; Riyadh, Saudi Arabia; Dubai, United Arab Emirates; a second Manila, Philippines location; and six more locations in development for Japan. For all our waiting supporters in Dallas, we finally confirmed that our opening will be in October 2015. And all of this could not be possible without you folks, thank you! In local news, Teddy’s Waikiki officially launched a breakfast menu, starting every day at 6 a.m.! We got the full spread: fluffy pancakes, loco moco, healthy options and more. Up North, Teddy’s Haleiwa is set to open by the end of January, which is right around the corner. We will also serve breakfast and offer a full bar. Come on down to the North Shore for Teddy’s and the huge swells! Uploaded by 6 Pillars Marketing on 2014-11-25.